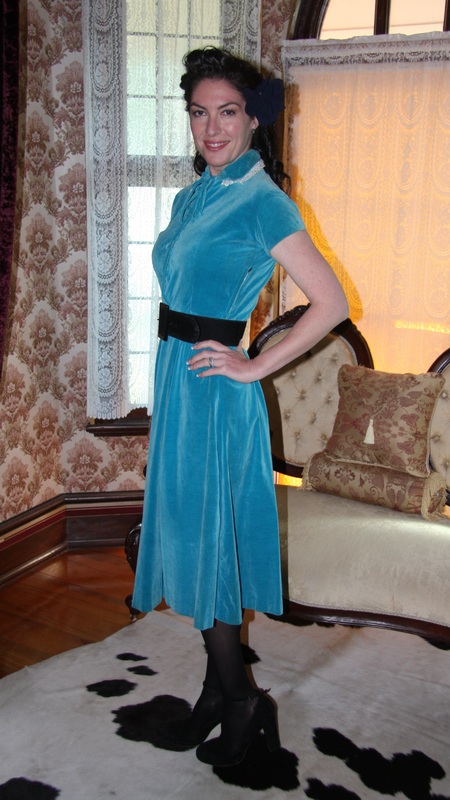 Outfit: Vintage (1950s) teal velvet dress featuring Peter Pan collar with lace trim, button detail to bodice and six-panel skirt. Shoes: Black velvet pumps with ankle strap. Hair: Worn curled and down, with a black rose accessory. Accessories: Black hosiery, antique sterling silver Albertina bracelet, sterling silver rose stud earrings.